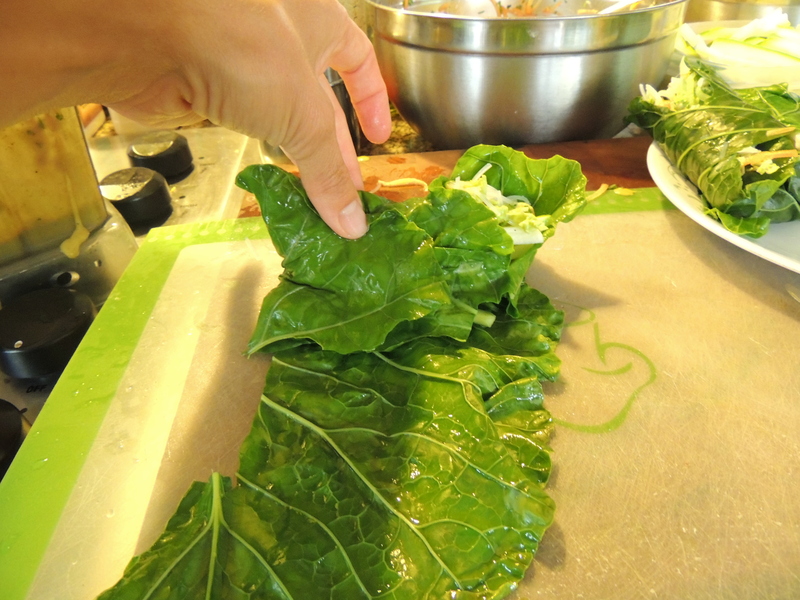 100% Garden Food I harvested today made these beautiful ‘Spring’ rolls. 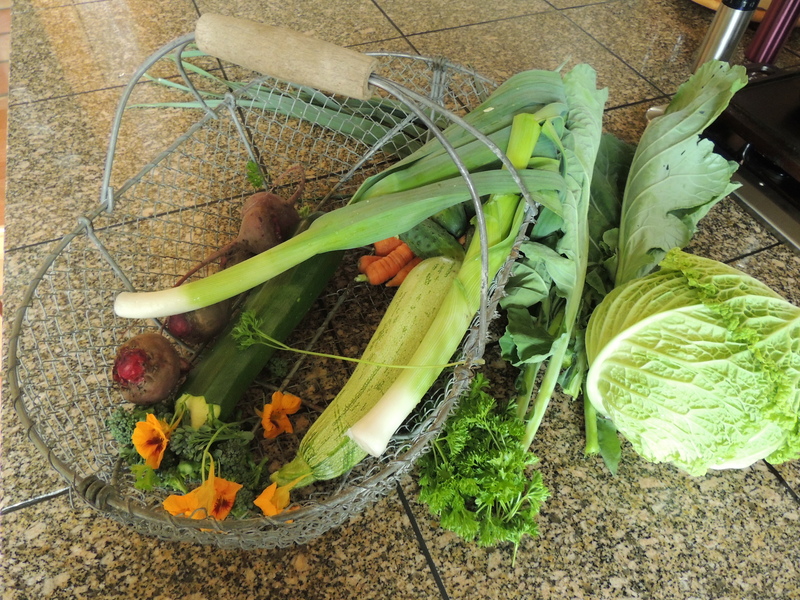 Today’s harvest, 2 leeks, 2 zucchinis, 1 Chinese cabbage, parsley, basil, nasturtium, 6 cucumbers, 8 carrots, collard greens. 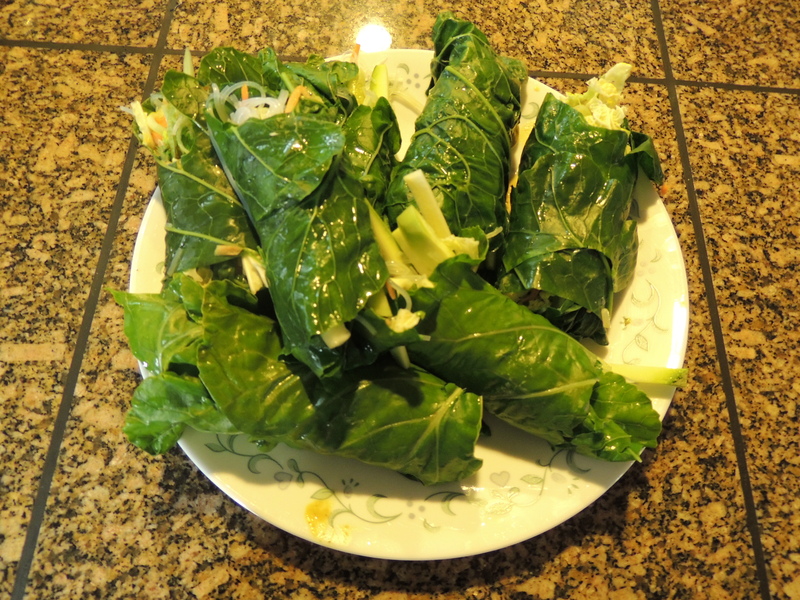 The Chinese cabbage inspired an Asian tasting meal. I decided on spring rolls. 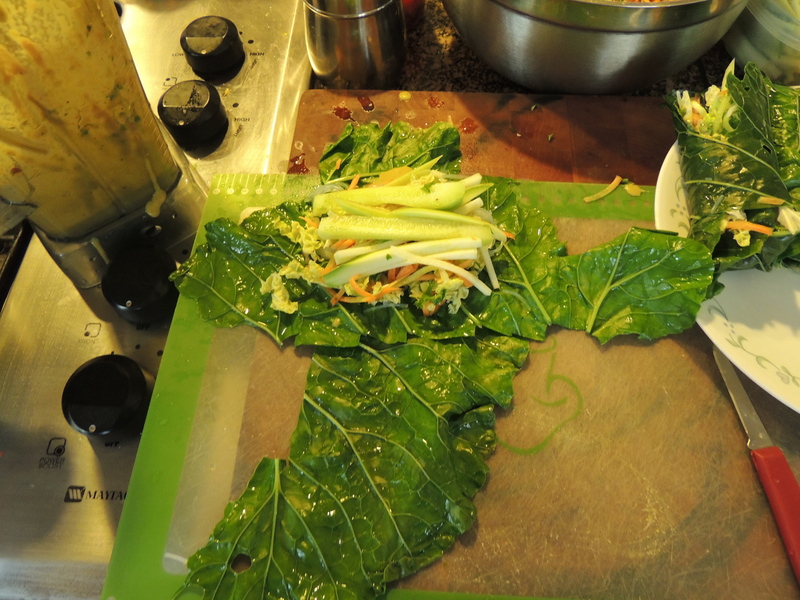 The collards will be the rolls and the rest of the vegis will be the filling. Except the beets, that will be for a raw beet salad. I made a quick peanut sauce (not raw) to dip these yummy treats into and included sliced apples and a raw beet salad. The whole family loved the meal, even the kiddos! 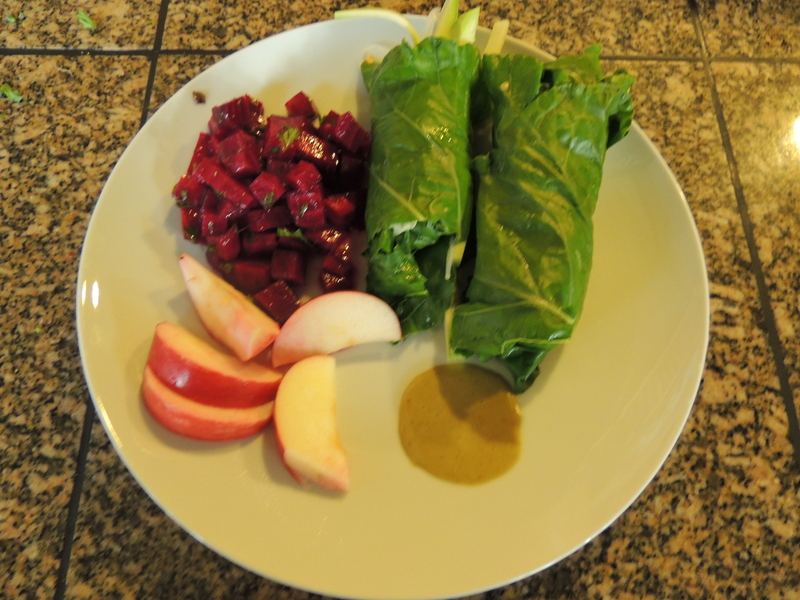 Raw beet salad, spring rolls, apples. It’s what’s for raw dinner tonight. Mix it all up in your blender. I added some of this to the rolls with some wasabi paste and some really hot chili garlic sauce! Yummy! 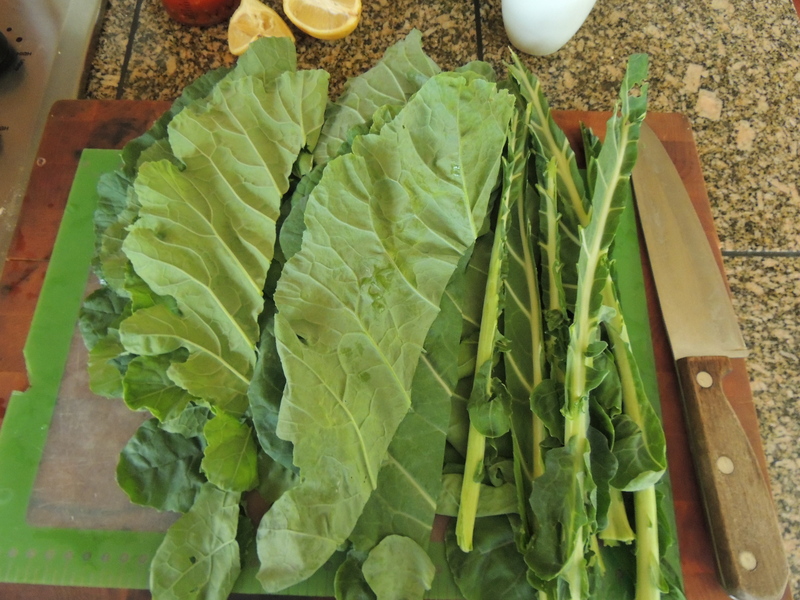 This entry was posted in Food For The Good Life, Simple Living and tagged Raw Food, vegetarian. Bookmark the permalink.